Advanced Engineering 2017 has announced that its Enabling Innovation showcase has significantly expanded since its inception last year. Sponsored by Magna International and supported by Innovate UK network partner, the Knowledge Transfer Network, Enabling Innovation provides a unique opportunity for 50 start-ups & researchers to showcase the next generation of exciting new technologies in front of a huge audience of potential investors and customers across all engineering sectors. Alison Willis, industrial divisional director at show organiser, Easyfairs, said: “This year, we have expanded the Enabling Innovation showcase so that more start-ups will be able to access this fantastic marketing opportunity. Last year we surprised ourselves with the amount of innovation on show by these companies, and I’m sure that this year will top that. In the latest in a string of awards for Aceleron since the show, HRH the Princess Royal presented Dr Chandan the Hawley Award for Engineering Innovation of the Worshipful Company of Engineers on the 20th of July 2017. Organised by Easyfairs, Advanced Engineering 2017 takes place on the 1-2 November at the NEC Birmingham. It is the UK’s largest annual gathering of advanced engineering professionals. 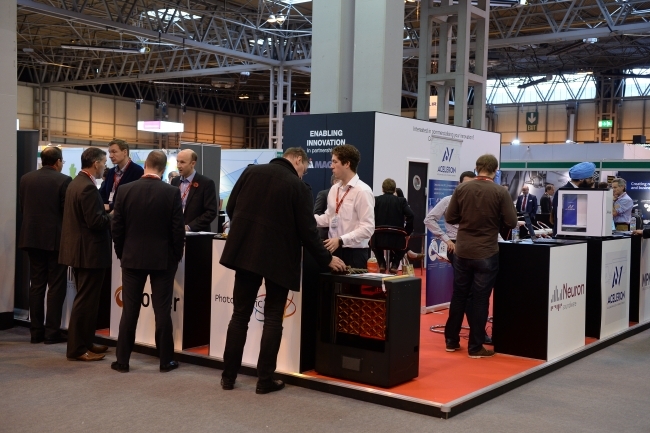 It connects the entire supply chain of the UK’s advanced engineering industry with R&D, design, test, production and procurement from large and small companies, through to top tier industry players in a two-day free to attend exhibition and high-level conference. Now in its ninth year, the Advanced Engineering show promises record breaking visitor numbers once again, bringing together over 600 exhibiting suppliers and partners, as well as thousands of engineers, procurement managers and senior decision makers from large and small companies – all looking to source, specify and invest in the most up-to-date products and explore the latest industry innovations. Advanced Engineering 2017 includes five co-located zones under one roof: Aero Engineering, Composites Engineering, Automotive Engineering, Performance Metals Engineering and Connected Manufacturing.